The 4-star-superior Hotel Saratz in Pontresina is elegant yet informal, modern yet charming - and its blend of old and new exudes one thing above all else: atmosphere. Here, a contemporary lifestyle merges with Engadin hotel tradition, grandezza with design, nature with architecture. Experience a holiday in unique surroundings in the midst of the Engadin mountain world. 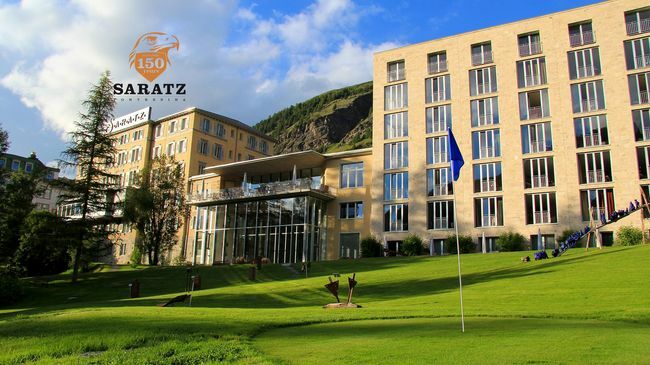 You will find the Hotel Saratz in the village centre of Pontresina on the Via da la Staziun 2, in front of the Congress Center Rondo.